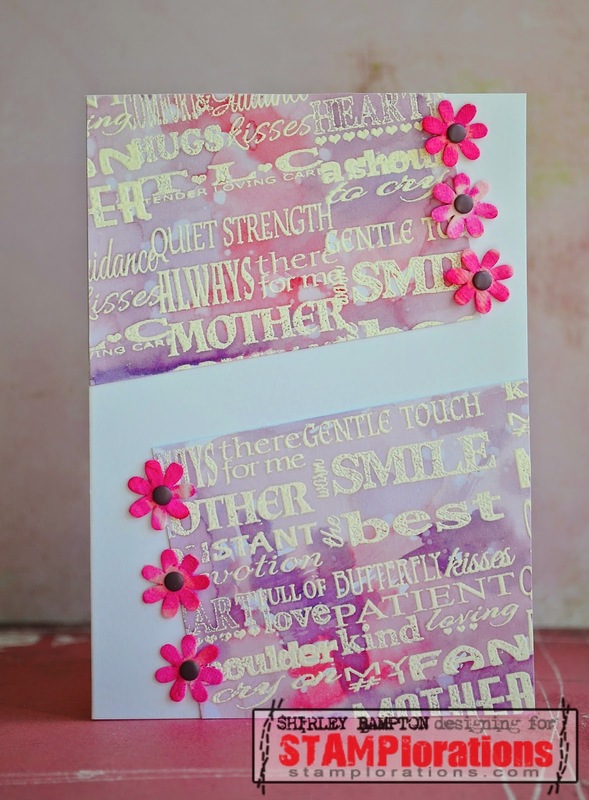 I've used stamps from the MOM Subway Art Builders sets which are designed so that you can cut them up to mix and match your favourite sentiments from the sets, which is what I did. I stamped them in Versamark and white-embossed, then watercoloured some Dusty Concord, Milled Lavender and Worn Lipstick Distress Inks over the panel. Pop on over to the STAMPlorations blog for more inspiration from the Design Team and Guest Designer Carol, and to enter your card. Great colors! The sentiments pop beautifully from the background. Way to use the sketch and the Mom's Subway! Very creative card Shirley. Very well done. 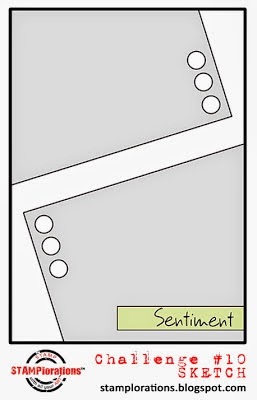 What a great idea for mix&match sentiment stampset! Love the watercolour effects here. I think you did a splendid job on this. I love that I just got to use the word splendid. I think I sounded posh, did I sound posh? I hope so. Marvelous and splendid Shirley - that's what I think of your card simply marvelous and spendid. Gorgeous background and gold! Such a tricky sketch and you've made it look really special! Purty. Another "bet this was a blast to make" creation of yours!